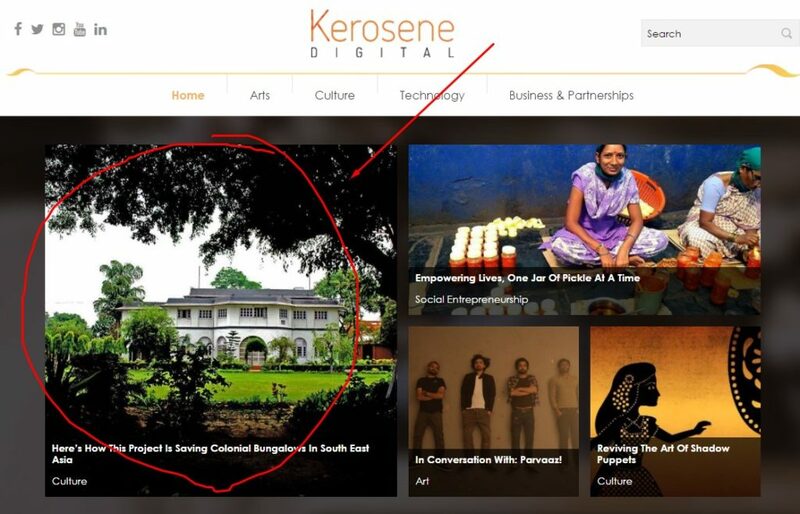 Kerosene Digital, an online magazine that covers arts, culture, and technology has done a story on the Colonial Bungalows Project. Here is the entire story and the interview. Colonial Bungalows is a long-term passion project of mine to visually capture the beautiful, century-old colonial bungalows before they get torn down for high rise buildings. This is a crowdsourced community project. The website for the project is here. If you are interested in collaborating, I would love for you to join the Colonial Bungalows Facebook Page.